This past July our church took part in a community outreach initiative called Go Beyond with the goal of adorning the gospel of Jesus Christ with good works. One of our Go Beyond projects involved filling backpacks with food and supplies to give to the homeless people of our area. Prior to this, Brian and Kay Billman had already begun to feel their hearts stirred for those who are in need as they noticed the homeless throughout Northern Virginia. 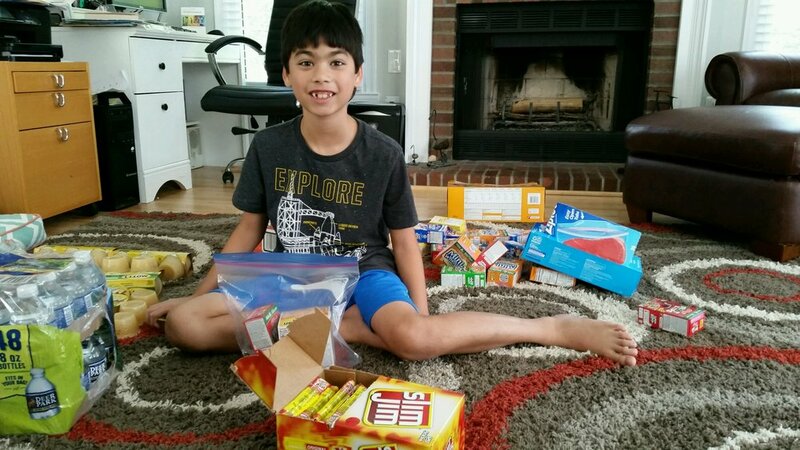 It wasn’t until Go Beyond that their own family “Blessing Bags" project finally sprung into action. Kay bought non-perishable food items that could fit in a large Ziploc bag and with her sons’ help, they filled the bags together. Included in each one was our church’s information card for any possible follow up. With their cars filled, the Billmans began looking for opportunities to give their Blessing Bags away. They prayed over each bag before and after handing them out hoping that not only would it meet the people’s physical needs, but also that the Lord would somehow meet their spiritual needs as well. At first, Kay began handing them out, told the people "God Bless" and simply drove away, which didn’t feel quite right. So, Brian encouraged her to have a conversation with the people she came in contact with whether it was for two seconds or two minutes. The Billmans have had several opportunities to talk to people in need as they give out their Blessing Bags. Following a conviction in obedience is not always a flashy story, but it is a testament to God working in the hearts of Christians to see a need and seek to fill it.